This lecture will analyze the psychological roots of fundamentalism, the church as archetypal mother and father, and seek to set out how religion can be a psychotherapeutic system for healing and wholeness. The presentation will be beneficial to those who have left organized religion, but still seek a spiritual path, as well as to those who find a particular organized religion spiritually nourishing. God is not a concept, but an experience. Spirituality is the deep human longing to translate the Transcendent into the Immanent through experience and reflection on it. This lecture will help to see how we can find the miraculous in the mundane, the extraordinary in the ordinary, and the sacred camouflaged in the profane. We are connected to one another and dream in more objective ways than traditional psychology has previously acknowledged. Objective dreams compensate or give factual data about waking reality, such as our choices, relationships and health. However, some dreams seem to be meant not just for the individual, or even primarily for the larger collective, but for the family, tribe or community audience. Such experiences of unconscious connection often happen when one opens to the possibility: then, Psyche speaks in a rare way, and one can be healed by listening. Humans are pack animals and the dream maker knows well this ancient rule of our tribal nature. Within ones' own dream threatre, stories unfold using the characters from our lives that weave a pattern, each connected to the other in fascinating complexity. The tribal unconscious will be introduced with examples from dreams and synchronicities. Tess Castleman,* is a Diplomate Jungian Analyst (Zurich, 1989), a training analyst with the C. G. Jung Institute of Zurich and a member of the Curatorium. She is responsible for the International English Block Training in Zurich where she lives part of the year. 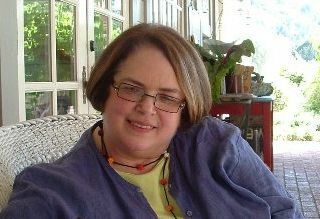 She also lives in Dallas, Texas, where she has an analytic practice for adults and groups. She leads workshops and dream retreats internationally and is the author of Threads, Knots, Tapestries: How a tribal connection is revealed through synchronicities; and Sacred Dream Circles: A handbook to facilitate Jungian dream groups. Jung used the term "the Self "to speak of the archetype of wholeness and the God image within. If the Self manifests to us in dreams as, among others things, numinous images and affects of the power of the great forces of nature, then Nature and the Holy are actually infused into each other. If, as Jung writes, the psyche is, at bottom, merged into the chemical substances, "then the psyche is simply 'world' ... and in the symbol the world itself is speaking." Jung noted that dream imagery could only be understood as the outgrowth of a reciprocal exchange between dream ego and emergent archetype. Rumi once said, "What nine months does for the embryo, 40 early mornings will do for your growing awareness." This workshop offers a new model that emphasizes the dialectical nature of the dream’s unfoldment, as well as a practice of Middle-of -the-Night-Meditation (MNM), which enhances the dreamer’s capacity to interact with the content emerging from the psyche in a fearless and creative way in order to facilitate the individuation/integration process. The presentation will present an array of anecdotal accounts from the presenter's own journals as well as from the lives of others; review the meditation research that supports the apparent effect of meditation on the dream state; establish the importance of MNM to the individuation process; and lay out a practical regimen that combines MNM with a simple pre-sleep exercises called "Dream Reliving" as a way to foster psychological integration and deep communion. 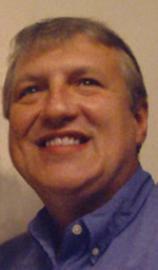 Gregory Scott Sparrow, Ed.D., LPC; LMFT is a psychotherapist, college professor, spiritual mentor, author, and fly fishing guide who lives on the shores of the Lower Laguna Madre of deep south Texas. In 1976, he wrote Lucid Dreaming -- Dawning of the Clear Light, which was based largely on his own experiences. It was the first book on lucid dreaming published in the U.S., and has been extensively cited and hailed as an early classic in this new field of dream theory. In his late teens, Scott began sporadically to practice Middle-of-the-Night-Meditation of his nighttime dreams. Over the years, he has come to recognize the value of this practice for enhancing, not only dreams, but one's spiritual journey. He began to realize that dreams following these meditation periods are often characterized by: greater reflectiveness, the presence of Light, the deepening of archetypal content, and encounters with the Self. His own books including the aforementioned Lucid Dreaming: Dawning of the Clear Light; and I Am With You Always: True Stories of Encounters With Jesus, and Blessed Among Women: Encounters with Mary and Her Message were direct outgrowths of this particular spiritual practice. Along with enhancing creativity, it has often facilitated resolution of the presenter's own psychodynamic conflicts as well as encounters with the Self. Scott is an an Assistant Professor at the University of Texas - Pan American, where he teaches in the graduate counseling program. He is also a Charter faculty member at Atlantic University in Virginia Beach, where he leads seminars for men on midlife issues, and teaches a course titled "Principles and Practices of Spiritual Mentorship." 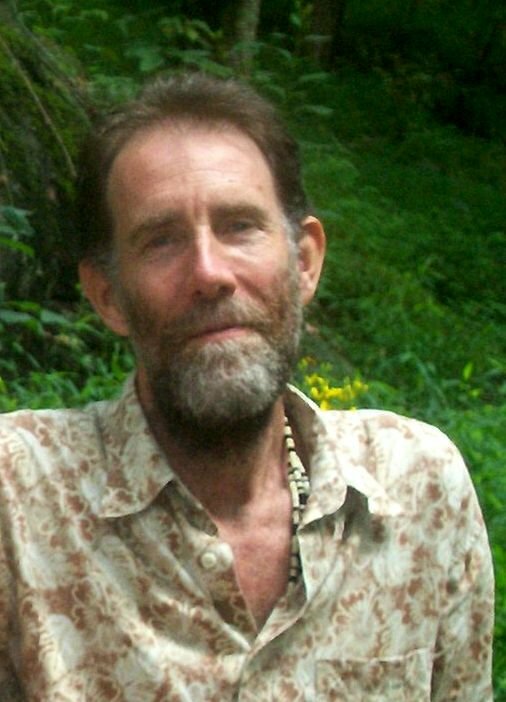 He has lectured and taught courses across the U.S. on such topics as meditation, lucid dreaming, and dreamwork methods. His latest book is Healing the Fisher King: A Fly Fisher's Quest has been called: "a masterpiece" and "destined to become a classic among spiritual autobiographies." Stephen Hawkings, the English physicist, has helped us conceptualize time as multi-dimensional. In this presentation, we will briefly describe this idea of Hawkings and use excerpts from the movie "Déjà-vu" to explain it from Jung's view. In the second segment, we will move from theory to hands-on experience as participants interact with the material through methods of art therapy to experience how to apply it and integrate it in our lives. 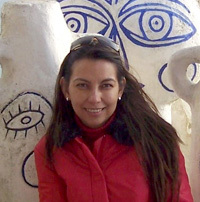 Marilia Yokota, PhD,* is an Art Therapist and Jungian Analyst from São Paulo, Brazil, and trained at the C.G. Jung Institute in Zurich, Switzerland. She has specialized in working with unconscious processes in the treatment of adolescents with severe depression and personality disorders, using art therapy as an instrument to approach the unconscious in her clinical practice. She conducts an analytical practice for children, adolescents and young adults in São Paulo, and also leads workshops in art therapy and adolescent therapy practice internationally. Dorothy Campbell is a Jungian analyst who recently graduated from the International School of Analytical Psychology-Zurich. She received her B.Sc. in Nursing from McGill University, Montreal, and her Masters in Psychosocial Nursing from the University of Washington, Seattle. Before completing her Masters, she worked in an acute care medicine. As an advanced practice psychiatric nurse she worked extensively in adolescent psychiatry. She also has held positions in large city hospitals, as the director of a counseling program, and as a psychiatric nursing liaison, working with individual patients, and with staff in individual and group situations. She also attended the School of the Museum of Fine Arts in Boston as a full time student in painting and drawing for three years; she has continued over the years, to pursue her interest in painting. Rev. 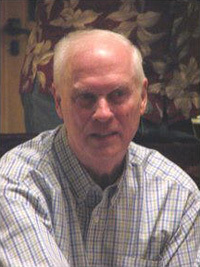 Don M. Wardlaw, PhD. We all instinctively cringe from our shadow, that dark energy in our unconscious that fuels the objectionable characteristics --- deceit, greed, racism, sexism --- that violate the image of ourselves that we want the world to see. Sadly, however, as Jung has shown us, in our shunning the shadow, we also relegate to the dustbin of our psyches a number of gifts and attributes we have long been led to believe we either do not possess, or do not deserve to claim --- confidence, leadership ability, creativity. The Church in its worship, preaching, and teaching too often unwittingly contributes to this repressing of our shadow. This workshop will offer opportunity to bring more clearly to consciousness ways in which we can be led to claim the “gold” that lies buried in our shadow. Rev. 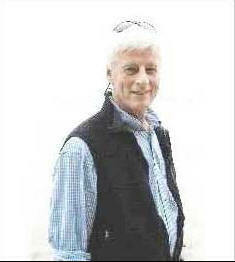 Don M. Wardlaw, PhD. is J.G.K. McClure Professor Emeritus of Preaching and Worship, McCormick Theological Seminary, Chicago. A native of Little Rock, with bachelor's degree from Columbia University, M.Div. from Union Theological Seminary in Virginia, and Ph.D. in New Testament from The University of Aberdeen, Aberdeen, Scotland. Dr. Wardlaw, served two pastorates in Presbyterian churches in the Memphis area, then taught preaching and worship at Columbia Seminary for 10 years, rounding out his formal career with teaching preaching and worship for 21 years at McCormick Theological Seminary, Chicago. 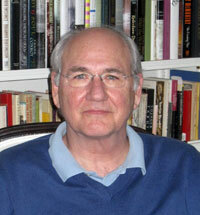 During his last ten years in Chicago, he founded and directed the Association of Chicago Theological Schools' D. Min. in Preaching Program jointly sponsored by six Chicago seminaries. He has taught as guest professor at Princeton Seminary, Union Theological Seminary in Virginia, and Yale Divinity School. 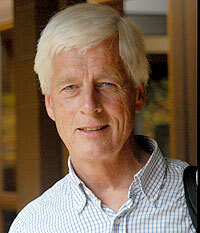 Don has led preaching seminars throughout the U.S., Canada, New Zealand, and Sweden. In the early 1990's, Don became deeply interested in the work of C. G. Jung and began to formulate a Jungian oriented homiletic. He is presently working on a book, "Preaching From Within." The Myers-Briggs Type Indicator (MBTI) is a practical application of Jung’s’ theories on psychological type that was created by the mother-daughter team Katherine Briggs and Isabel Briggs Myers. The most widely used personality test in the world, the MBTI serves as an introduction to Jung’s ideas and helps people to better understand themselves and develop their potentials. This workshop will offer participants the opportunity to take the MBTI and learn how to interpret and apply their results as well as increase their knowledge of Jung’s theories of psychological type. Participants are asked to register in advance for this workshop by noting their intention to participate in the "Comments" section of the registration form, or by contacting Journey Conferences at info@journeyconferences.com as soon as possible. Jung claimed that the symbolism of kundalini yoga suggested that the bizarre symptoms that patients at times presented actually resulted due to the awakening of the kundalini. He argued that knowledge of such symbolism enabled much that would otherwise be seen as the by-products of a disease process to be understood as a meaningful systematic process related to kundalini activity rather than isolated localized disease disruptions. This workshop seeks to provide an overview of the kundalini process and the related symptoms commonly experienced in order to differentiate them from common psychological and physiological disorders. 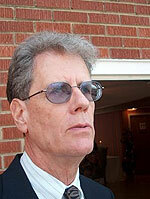 Lee Lawrence is an internationally known medical/psychological intuitive. His scientific research into the existence of the human soul and how it works bridges the gap between science, psychology and religion. This and the following are an educational workshops. Journey Conferences does not encourage anyone to seek the experience of a "Kundalini awakening" before, during or after the conference without proper motivation, knowledge, guidance and skilled support. Jung was fascinated with the chakra system and yoga. During his travels in India, he gained great insight into the way this approach to the body, mind, and spirit figured into everyday life in India. He saw parallels between the chakra system and alchemy as symbolic reflections of the process of individuation. However, he cautioned Westerns about pursuing this work with the human energy field from a purely intellectual perspective. This workshop will begin by sharing knowledge about this ancient Yogic philosophy and then, as an aid to understanding, will actively engage participants in a movement exploration of the seven energy centers of the body. Sequentially moving up the spine—starting with grounded movement from the root chakra and progressing upward to the spiritual crown chakra—participants will move in their own way to musical accompaniment that supports the verbal imagery offered to connect with each body area and energetic intention. This activity is designed to enhance fluidity of movement throughout the body, gently work through the spine to help one release energy blocks, and invite a sense of harmony within one’s soma, soul, and psyche by learning to address the whole person. 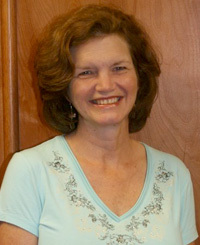 Jeanne M. Schul is a Dance Specialist at Berry College in the Departments of Kinesiology and Theatre in which she coordinates the dance program and serves as Artistic Director of the Berry College Dance Troupe. Jeanne is completing her Ph.D. in Depth Psychology at Pacifica Graduate Institute and is currently engaged in research for her dissertation, entitled Creating Dances from Dreams: Embodying the Unconscious through Choreography. 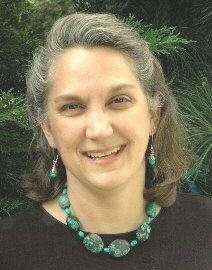 She is a Registered Somatic Movement Therapist and a Reiki Master with a small private practice. 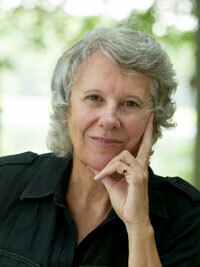 Jeanne has published numerous articles focusing on the intersection of dance, chakras, and dreams. 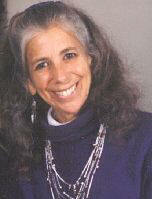 She serves as President of the Eastwest Somatics Network. 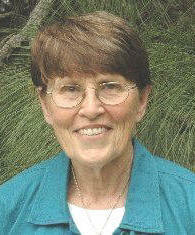 In 2008, Jeanne received the Honor Award for the 13 state Southern District for life time service in the field of dance. She was named the College/University Dance Educator of the Year in 2005 for the Southern District and the state of Georgia. She earned a M.A. in Depth Psychology from Pacifica Graduate Institute, a M.A. in Dance from Texas Woman’s University, and a B.A. in Dance and English from the State University of New York at Brockport. Joseph Campbell posited that the hero’s journey is the monomyth. The three-fold process of separation, initiation and return are the necessary stages for what Jung called the process of individuation. This workshop will focus, through diagram, and discussion how each must leave home, wrestle with demons and dragons and find our way home again. Ever wonder what Lazarus did the day after he was risen from the dead? mystical while walking in the mundane. The longing that can be named is not the deep longing of the soul. It is often imagined as profound homesickness, but where is home? No more than we can name the object of our longing, can we achieve it by effort. The best we can do is wait for the transcendent function’s work of grace to provide the linking symbol. We will consider poetry, dreams, and traditions of religio which speak of our archetypal hunger for mysterium. Participants will have an opportunity to reflect and to share, as they are moved to do so -- their own experience of longing. 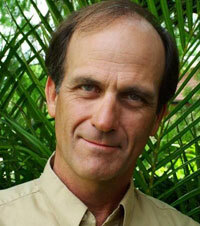 Dr. Robert A. Keller, Ph.D.
– what are the primordial archetypes, the energies or dynamics? – and then by suggesting and demonstrating how we can become those powers in human form. 1. A brief introduction and discussion regarding the current understanding and experience of the Universe. 2.The presentation of three ten minute clips of a DVD dealing with the dynamics of adventurous play, good and evil, and death. There will be open discussions between each of the clips. A classic Jungian dream group using a facilitator-led model, but with a twist. Tess Castleman will work with individuals and the group to discuss personal insights gleaned from discussing a dream, as well as ask the entire group, "why did you need to hear this dream". Synchronicity, congruent themes and corrective messages from the unconscious will be noted. Anonymity, and Confidentiality upon request, required. Carl Gustav Jung said: "Who looks outside, dreams; who looks inside, awakes.” This workshop offers participants a rare opportunity for introspection -- to look inside and awake. There’s an old Zen story about a young lion that was raised by a sheep; he thought he was a sheep too. One day, an older lion found him, captured him, took him to a pond, and showed him his reflection. Upon seeing his reflection, the younger lion knew who he was and roared. Like that pond, this seminar will hold up a mirror so that you can view your image, career, and life; reclaim your authentic self, and become the full expression of all you are. In it, you'll briefly explore personhood, purpose, persona, and presence; these four “Ps” will help you authentically package, present, and best promote your gifts and most fully live your own unique life. Randy Siegel utilizes a proprietary process that facilitates self-discovery to clarify personal perspective, true purpose, and professional image. This process transforms men and women into highly motivated leaders who are more charismatic spokespeople and ambassadors for the organizations they serve. Since founding his company in 1999, Randy has conducted hundreds of consultations, presentations, workshops, and coaching sessions for corporations, professional associations, nonprofit organizations, and marketing firms. 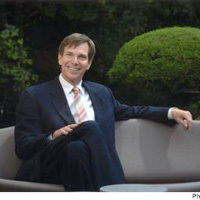 He has authored professional articles for Washington Post, Atlanta Business Chronicle, bizlife, and other publications. He has been quoted in USA Today, Wall Street Journal online, Southwest Airline’s in-flight magazine Spirit, and other media outlets. His monthly eNewsletter is valued by thousands of readers worldwide, and his books Engineer Your Career: Building a Blueprint for Your Best Self and PowerHouse Presenting: Become the Communicator You Were Born To Be are available through Amazon.com. The Dances of Universal Peace were the vision of a Sufi master named Samuel Lewis and began as a Sufi practice. Over the years they have come to embrace all the major spiritual traditions of the world. By chanting sacred phrases to the accompaniment of simple movement, participants literally embody the sacred phrase, moving beyond the level of [isolated]... ego and personality... [to bring us more present to]... the Divine essence that resides within each of us. No dance experience is necessary; all movements are taught. On Friday and Saturday Mornings before breakfast, everyone is invited to a time for the sacramental sharing of bread and wine with reflections offered by Pittman McGehee, and Don Wardlaw. 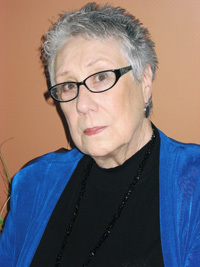 Barbara Dua will be co-liturgist. Barbara Dua has been ordained as a Presbyterian minister for 29 years. She also has standing as a UCC minister in the Southwest Conference. Her life journey has taken her to high school in Beirut, Lebanon and extensive travels in the Middle East, Europe, Central America and Africa. She studied with African women theologians in Kenya while working on her Doctor of Ministry from San Francisco Theological Seminary. 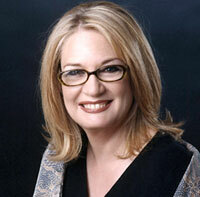 In 2007 she traveled to Iran with the Fellowship of Reconciliation as a civilian peacemaker. She has been fortunate to work in ecumenical and interfaith ministries for the last 13 years. Living in New Mexico for the past nine years has deepened her spiritual life with the desert landscape, ancient traditions of the Native Americans and centuries old Roman Catholic missions in the southwest. Iona, Scotland and Ghost Ranch in New Mexico have been sources of great nourishment. 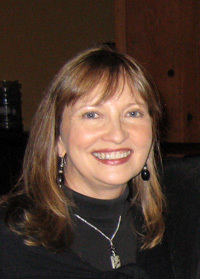 In recent years, Barbara has been certified as a Spiritual Director through the Mercy Center in Burlingame, California. Jungian studies and women’s spirituality have been a thread though her adult life.